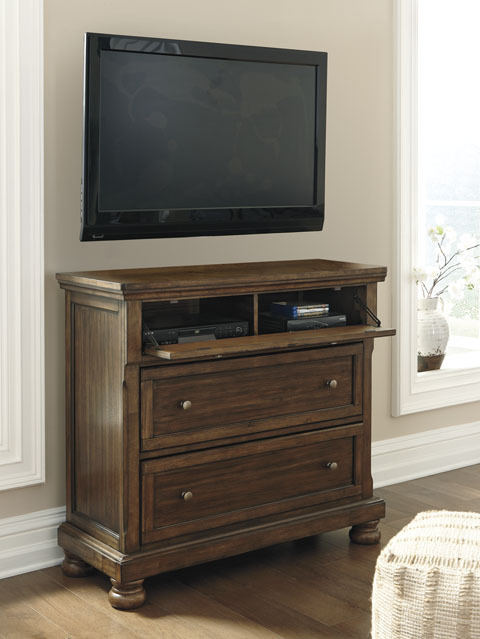 Made with Acacia veneers/engineered board and hardwood solids with a tobacco brown finish. Framed drawers feature fully finished dovetailed drawer boxes, ball bearing side glides and round metal knobs in an aged brass color finish. 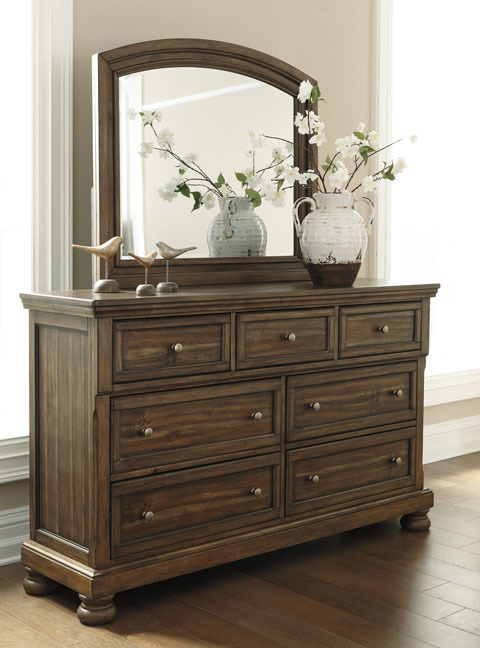 Dresser features a hidden pull-out tray behind the upper center drawer for jewelry and other small valuables. 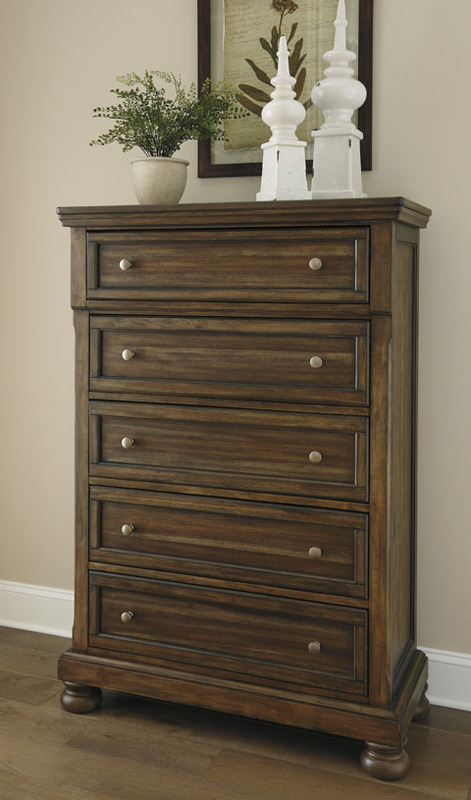 Night stand has a concealed drawer for storing small valuable items. Traditional styled panel bed with profiled crown moulding and matching panel footboard. Both the sleigh headboards (77/78) or panel headboards (57/58) can use either storage footboards (74/98 and 76/99) and panel footboards (54/96 and 56/97). Mirror has beveled glass. Of all the furniture stores in Sevierville, TN , Ogle Furniture has the best selection of the SIGNATURE ASHLEY-ITEM SERIES #:B719 BEDROOM SET. This item may also come in various sizes, styles, or colors. Please ask one of our representatives if we have the specific color/style you are looking for.